People often tell me I’m crazy when I explain that not only do we have three dogs but they pretty much go everywhere with us. 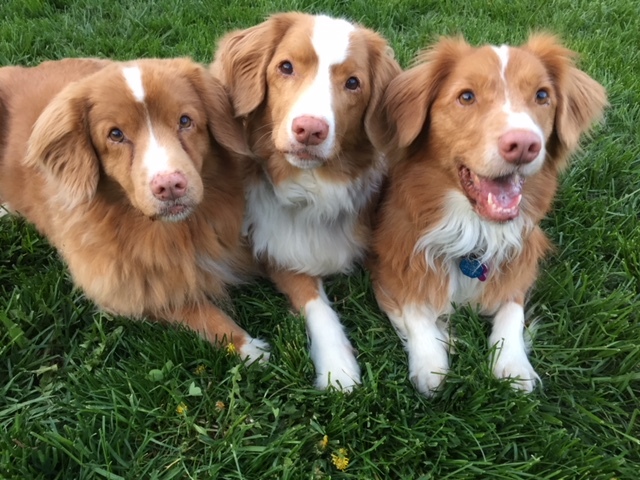 It started with one Nova Scotia Duck Tolling Retriever (NSDTR) 14 years ago. Willow travelled with us everywhere including trips to Atlantic Canada by car and Vancouver by air, boat and car. She’s flown on WestJet with great success and travelled on B.C. Ferries to Nanaimo. Willow was and continues to be a great traveller even in old age. She never barked in hotel rooms and always stayed calm waiting to go on flights. She’s always been great in elevators and asked to go out even when several floors up in a hotel. Then a few years later we acquired Angel, another NSDTR who arrived from Missouri via Air Canada Cargo. The third, Autumn, also a NSDTR, arrived in November of 2016 and has now made travel a little more complicated but still a lot of fun. We have a great dog sitter but honestly, I’d rather they come with us than stay home. Hotels and motels often say they are pet-friendly but not all are created equal. Despite the fact the pet industry is a booming business — pet owners represent a $6.5-billion a year business opportunity, according to The Globe and Mail — many hotel chains are opting out of the opportunity. 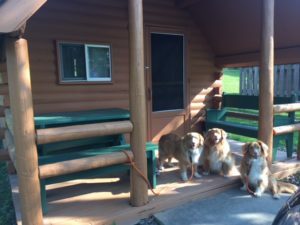 A “pet-friendly” hotel room has often been one previously inhabited by a smoker or one that is in dire need of renovations located far away from all other amenities. We once left a motel before even checking in because the dog-designated room was in poor shape. There are some chains that have embraced the pet market. We had a wonderful experience with two of the dogs at the Super 8 in Sault Ste. Marie, Ont. a few summers ago on our way to Lake Superior. The staff even provided special bedding for the dogs. Travelling with dogs can limit where you stay and how you get there. For example, we’ve been trying to figure out how to get to Newfoundland without having to leave the dogs in the car on the vehicle deck for the entire journey on the ferry. (If anyone knows how to do this, please let me know. ) But with some planning and patience you can enjoy a variety of travel opportunities and take your pups along with you. Recently we did an overnight trip to Niagara-on-the-Lake (NOTL) with all three of our dogs. No, we didn’t stay in a posh spa hotel, but we did manage to find a great place where they were all welcome, were able to enjoy the outdoors and at a reasonable cost. Over the years hotels and motels have added additional fees for pets staying with their human companions — anywhere from $10 to $25 extra is about the norm. 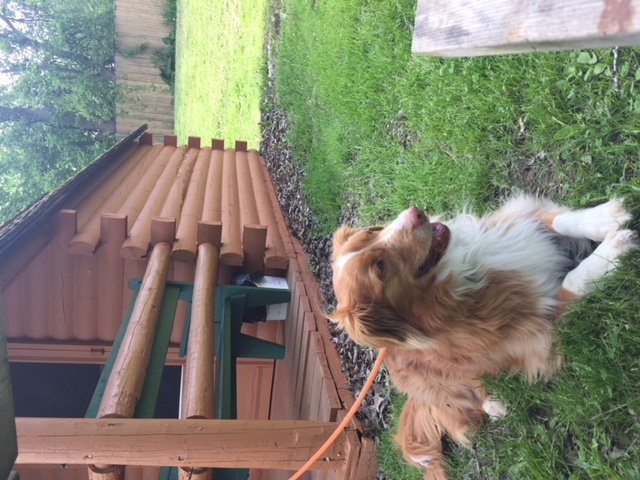 While roofed accommodation (yurts and cabins) at Ontario Provincial Parks do not allow pets, the KOA Campgrounds readily accept pets in campsites and certain cabins — primarily the ones that do not have washrooms. (Shared washrooms and showers are available in the campground.) In Niagara we rented a one-room cabin at the KOA in Niagara Falls, just off Lundy’s Lane, for $141 which included taxes and the $10/per dog fee for one night the last weekend in May. 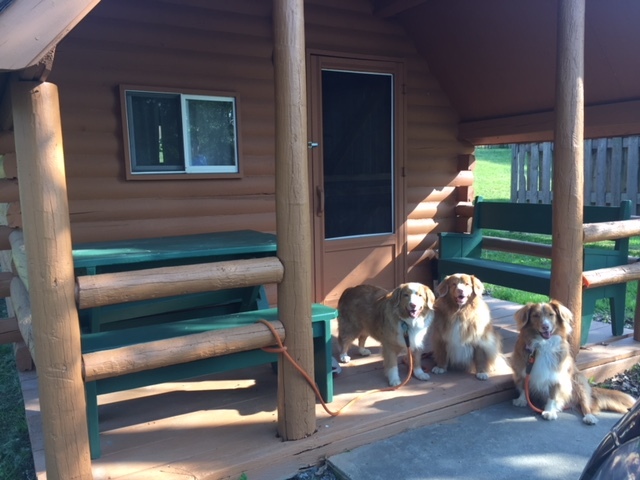 We had a really nice campsite and cabin (double bed with twin bunks) with side and rear yard areas for the dogs to enjoy with partial dividing fence between us and the cabins beside us . The campground also featured a designated area to walk dogs on the other side of the campground. During the day we enjoyed several of Niagara’s park areas with the dogs, including the Queen’s Royal Park located at the end of King Street. This park features public washrooms as well as picnic tables to enjoy a lunch or rest. I strolled the waterfront and sat at a picnic table with the dogs for a short time while my husband explored The Exchange brewery on Queen street in NOTL. The log-style cabins have electricity and are situated on a decent-sized lot with both a rear and side yard. There was a train track directly behind the fence but it did not have any traffic on it during sleeping hours. We heard it once. (click photo to enlarge). Several families with kids approached me to ask about the breed. It was a great way to pass the time and enjoy the cherry blossoms. One thing you quickly become used to while travelling with dogs is splitting up on occasion so one person can explore a store or attraction while the other stays to watch and entertain the dogs. We switched spots when we later visited Chateau des Charmes winery in NOTL. I popped out to visit the inside of the winery and make a purchase from the wine shop while my husband let the dogs out in the parking lot area for a quick ramble on leash. We have found that many craft breweries welcome dogs inside their establishments (look for a future blog post on this) which can make things much more enjoyable for both human and dog. • Before booking accommodation think about your dog’s temperament and ability to adjust to staying in a strange place. Are they nervous or likely to bark around other people or if they hear sounds in a hotel room? • Take your own water for the dogs and a portable bowl. Many shops and dog-friendly venues now offer water bowls in front of their establishment but don’t count on it. • If you have room, take a kennel or dog crate for them to sleep in to minimize spread of dog hair in hotel rooms and your car. They are also safer travelling in a kennel. • Always have disposable bags to pick up after your dogs. In some unfortunate circumstances some parks, such as Joffre Lakes Provincial Park in B.C., have begun banning dogs because people were not picking up after their dogs. • Scout out parks and public areas for any “no dogs allowed” signs. Some parks with waterfront or beach access often do not permit dogs near the water. 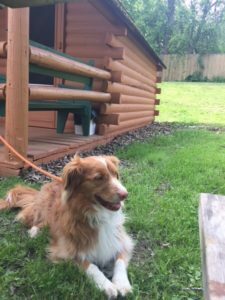 • During summer be mindful that dogs need to be kept cool and may not have the same energy level they do in other times. Riding in cars can upset their stomachs, just like humans. • Consider investing in “tie out” stakes for about $7 to $20 that screw into the ground and act as a tie post to keep your dog on leash but give them a little more space to move around. These can be found at Canadian Tire and Pet Smart.